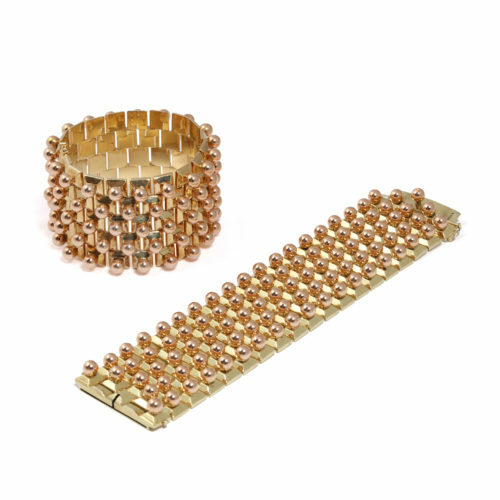 Two retro geometric 18 karat yellow and rose gold bracelets. Austrian stamps for gold and maker's mark. Austria, circa 1950. Ferdinando Sandi. 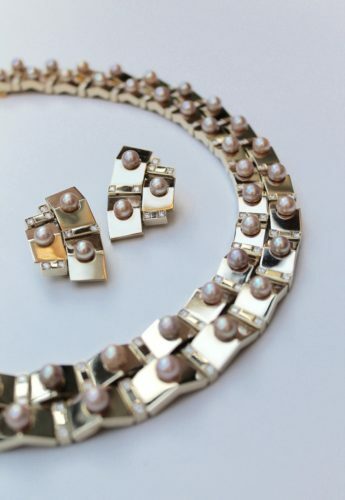 A demi-parure comprising a necklace and earrings in yellow gold, embellished with pearls and diamonds. Signed "Sandi", assay marks for gold and makers mark. Italian, circa 1972. Specialising in unique European and American jewellery of the finest quality dating from 1880 until the 1980s.